One key flaw that Arsenal and Man Utd have shared so far this season is a leaky defence, and reports claim they could both be targeting the same solution. While the Gunners have conceded 14 goals in 11 Premier League games so far this season, United have let in 18 in the same number of games to have the unwanted record of the worst defence out of the top 14 sides in the standings. 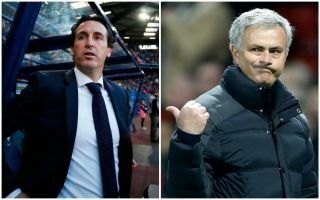 Evidently, both Unai Emery and Jose Mourinho need to tighten things up at the back to ensure they can compete for trophies this year, whether that’s through more work on the training ground with the current options at their disposal or perhaps with a new signing in January. According to The Sun, they could opt for the latter as it’s claimed that Juventus defender Medhi Benatia is on their respective transfer radars and could cost around £13m. Particularly after Leonardo Bonucci returned to the Turin giants this past summer, the Moroccan international has seen his playing time adversely affected so far this season. With that in mind, it’s clear as to why he may want to seek an exit to secure a more prominent role elsewhere, although being part of this Juventus side which is pushing to win major honours both home and in Europe this season could be a big reason to stay for a little longer. Nevertheless, the appeal to join either Arsenal or United and play in England could be the overriding factor, but it remains to be seen if Juve can firstly be convinced to sell, and from that point onwards, if a deal can be struck to take the experienced 31-year-old away from Turin.